Jumbo Kingdom is located at Hong Kong Island South, we provide free shuttle ferry at Aberdeen Promenade Pier and Wong Chuk Hang Shum Wan Pier. It is convenient in travelling to Jumbo Kingdom by MTR, Bus and Taxi. 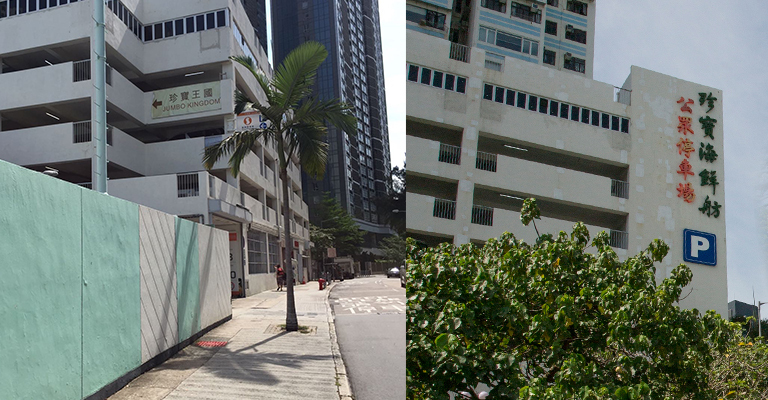 Take a few minutes walk from MTR Wong Chuk Hang Station Exit B to Shum Wan Pier. From both of the piers, you can ride in our free shuttle ferries to trace the past fishing village before enjoying a delicious seafood meal in the restaurant. For patrons taking taxis, a fare of HK$80.00 can be redeemed for consumption over HK$600.00 (Presentation of valid taxi receipt is required. Only one receipt can be used for each table, general terms and conditions apply). Mega size indoor parking facility for 500 motor vehicles at Jumbo Court,3 Welfare Road, Wong Chuk Hang. Seven days a week with 2 hours and 4 hours free parking for lunch and dinner respectively. Valet Parking Service at Shum Wan Pier is available from 6:30pm–11:00 pm daily. Free shuttle ferries are provided at Shum Wan and Aberdeen.